The Friday night Member's Draw has jackpotted to $350 and you must be there to collect it. On Friday night just past, January 18, Eddie Donne’s name was drawn out but he wasn’t in attendance so the draw has jackpotted by $50 to $350. The draw takes place every Friday night between 6:30pm and 7:00pm in the main bar. The following members are celebrating their birthdays during January and we would like to wish them all a very Happy Birthday. 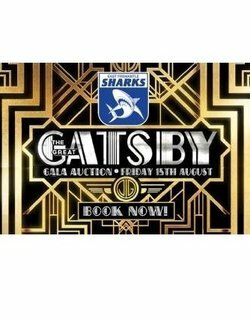 The Sharks Gala Auction is tomorrow night, and we've arguably got the best items list ever! If you'd like to put in a bid on any of these items and you cannot attend the auction, please email admin@effc.com.au before 2pm Friday 15th August. 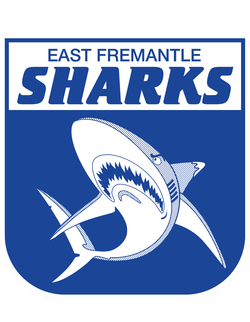 The East Fremantle Football Club Raffle is closing on Friday, September 29th. For compliance with the Department of Racing, Gaming and Liquor WA it is imperative that the Club receives all tickets sold or unsold by this date. The Raffle is essential to our ongoing sustainability! Your support will contribute to the Shark’s investment in talent and development programs as well as our pursuit for on field success. 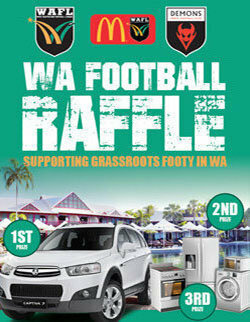 REMINDER: The WA Football Raffle closes on December 10th and all books must be returned to the Club whether sold or unsold by Friday, December 9th.